In the Summer of 2010 I replaced the Black & White backup camera on our Newmar with a color camera from RVCams.com. 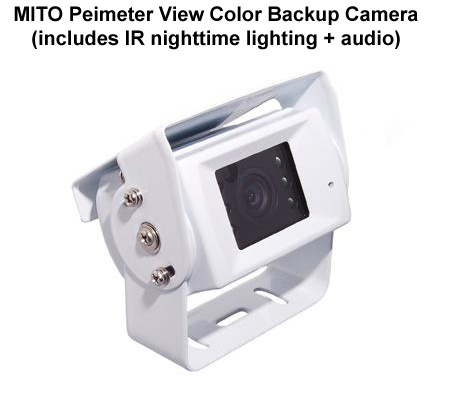 Besides color, this new camera had IR LED lights which lit up during nighttime. They are incredibly bright. 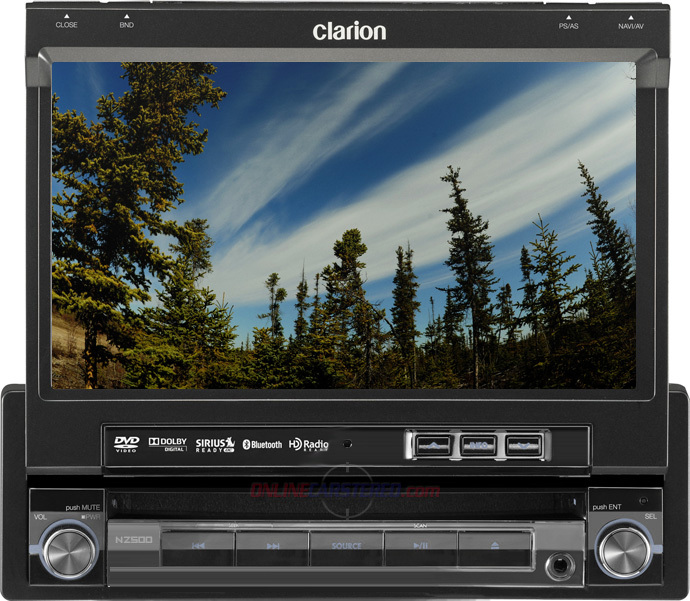 The new camera could also plug in directly to the new Clarion NZ500 in-dash stereo/GPS/color monitor I had installed. The actual camera installation was straightforward — unscrew the old camera, screw in the new color camera. But then I had to figure how to run the color camera cable to the front of our coach because I could not use the old camera cable. I also tried to pull the new camera cable using the old cable, but no dice. The old cable just wouldn’t budge. Not straightforward. Not easy. In fact I had to run the camera cable twice. The first time I ran a good part of the cable under the RV — so there was plenty of opportunity for the cable to get hit by road debris (which I think what caused it to fail). So a year later I ran a 2nd cable, but this time most of the cable was run inside our Newmar. I ran this 2nd camera cable when I installed a new AV system (see AV System). Also, the camera cable that was run outside was sheathed in tough 3/4″ flexible PVC conduit. I also used this blue flexible conduit to run wires “under” my basement compartment doors. See Norcold Basement Fridge project photos. After 5 years, the new color camera is still working, so I think I got it right.